The hostage drama in the city of Sliven is unprecedented for Bulgaria, psychology expert, Hristo Monov, told the TV channel bTV Thursday morning. Monov, however, points out the incident does not come as a surprise, citing former Interior Minister, Mihail Mikov, warning as early as 2009 about the increase of such crimes over the economic crisis. The psychologist explained the most likely reason for the bank robbery is a money problem such as having a large loan, which cannot be paid off, rather than someone unstable, seeking attention. 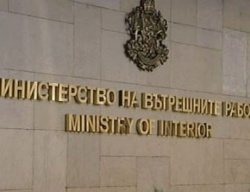 Monov says, despite the fact Bulgaria does not have experience with such situations, the Interior Ministry has very well trained employees. "After 16 hours, the assailant must be exhausted and confused. The best he can do now is to give himself in," the expert explained, adding there are two ways to deal with such situations – to comply with all wishes of the perpetrator or to not talk to him at all. The psychologist pointed out the victims will experience serious post-traumatic stress disorder, and advises them to go home to their close-ones, and enjoy their support, instead of talking to authorities. According to Monov, aggression in Bulgarian society and the difficult economic situation are contributing factors to such crimes. Ironically, the Psychology Institute at the Bulgarian Interior Ministry is marking Thursday its 40th anniversary.